House of Jack online and mobile casino is a great site to play real money slots and table games thanks to its wide breadth of accepted payment methods. Players worldwide are guaranteed to find a trusted deposit and withdrawal option suiting their needs to transfer betting cash securely and safely. 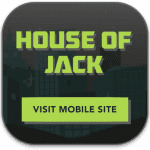 House of Jack is a new online and mobile casino which launched in 2017 and has already established an edge over several other existing casino sites thanks to its clear and transparent banking options. The website makes it easy for new players to deposit betting money thanks to its easy-to-read payment options guide, which lists all the different methods available to players from different countries around the world. Many other online casinos fail to put in the effort to clearly outline what payment services they offer for players, so this is a huge plus. The following worldwide payment options are available for new sign-ups to deposit and withdraw cash with at HouseofJack.com. All utilise industry standard 128-bit SSL (Secure Socket Layer) digital encryption technology to safeguard your financial transactions and ensure your information is kept private and secure. Visa (credit card): Using a Visa credit card at House of Jack is highly recommended, given it is supported as both a deposit and withdrawal method and guarantees processing time for deposits as instant – so you can get to placing bets and playing your favourite real money games without waiting. Payout transactions (withdrawing) takes around 3-5 days to process, and currencies accepted with Visa include AUD, CAD, EUR, NZD and USD. Players worldwide can use Visa credit cards at House of Jack. MasterCard (credit card): Using a MasterCard credit card at House of Jack is an equally popular choice to Visa, given it is exactly the same in terms of worldwide reputation and security. However, it is unfortunately only supported as an instant deposit method at House of Jack, making Visa the better options of the two. Currencies accepted are identical to Visa: AUD, CAD, EUR, NZD and USD. Players worldwide can use MasterCard credit cards at House of Jack Casino. Instant bank transfer: You can directly transfer funds into your House of Jack Casino account via your online banking interface, and this works for players worldwide. While the processing time for deposits is instant, players can unfortunately not use it as a method to withdraw any winnings you may obtain. We recommend pairing instant bank transfers with another safe option on this list, so you can process any withdrawal requests and receive your winnings payouts without additional unnecessary stress. Neteller: As one of the world’s most trusted web wallet brands, Neteller is highly recommended as a payment option to use at House of Jack Casino. It adds an additional layer of security between your personal banking accounts and your casino accounts, which is a great benefit for players who want extra privacy and peace-of-mind. House of Jack supports instant deposits with Neteller and instant withdrawal processing times, and the following currencies: AUD, CAD, EUR, NZD and USD. Skrill: Another trusted web wallet brand (once known as Moneybookers), Skrill is a great payment method to use at House of Jack thanks to instant deposit transfers and withdrawal payout processing times. Like Neteller, creating and using a Skrill account means you have a middleman between your personal bank accounts and your casino betting accounts. The following currencies are supported when using Skrill as a payment method at House of Jack: AUD, CAD, EUR, NZD and USD. Instadebit: INSTADEBIT is a web wallet service catering especially to Americans and Canadians, and it is fully supported as a deposit and withdrawal payment method at House of Jack Casino.. It does support instant deposits into your casino account, however, it takes 3-5 business days to process withdraws. The following currencies are supported with Instadebit: CAD and USD. Paysafecard: This pre-paid voucher service is fully supported as a deposit method at House of Jack Casino, with transfers processing instantaneously. All you need to do is buy your Paysafecard and use the unique 16-digit pin number to deposit the cash you loaded into the card. You cannot withdraw winnings with Paysafecard, however, meaning you will need an alternative options if you need to request payouts. The following currencies are supported using Paysafecard at House of Jack: AUD, CAD, EUR, NZD and USD. ecoPayz: EcoPayz is a digital payment service available to several countries around the world and supported at House of Jack for instant deposits. Unfortunately, EcoPayz cannot currently be used as a withdrawal method at House of Jack, meaning you will need to use an additional payment service to successfully retrieve your winnings. The following currencies are supported using EcoPayz at House of Jack: AUD, CAD, EUR, NZD and USD. Why play at House of Jack Casino? Other than offering some of the best slots and table games from leading gaming software studios like BetSoft, Microgaming and Quickspin, House of Jack is an instant-play casino which requires no special downloads to access on computer, laptop, mobile smartphone or tablets (Android, iOS, Linux, Mac OS X and Windows OS). It has a generous $450 Welcome Bonus which you can redeem by signing up via our House of Jack Casino links, and has proven itself so far to have excellent customer service and payment processing times. For more detailed information, including which countries are accepted at House of Jack, read our official review here. Read our beginners guide to depositing money at online casinos for a step-by-step tutorial on choosing the right payment option for you and how to properly transferring money on the Web.